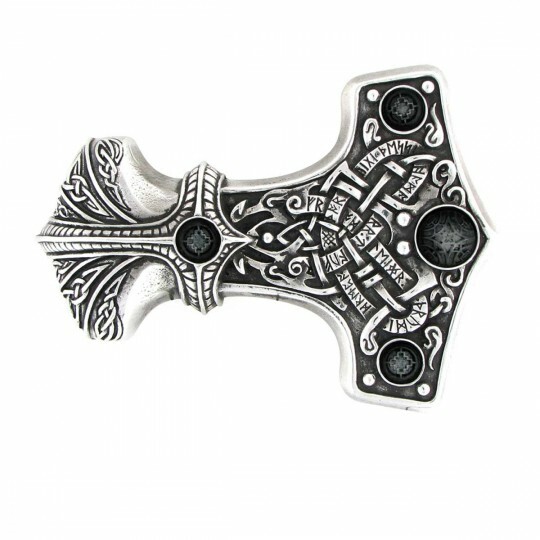 B96 - Thunder Hammer in Belts, Buckles & Gloves is made for Women and Men and comes in Black and is made of Pewter material. It is marked as BeltBuckles and weighs about 1.00 lb. The Norse god Thors mighty weapon of utter destruction, Mjolnir. Fits standard 1 belt strap.